NASHVILLE, Tenn.—Readers, writers and poets from Memphis to Mountain City (and beyond!) now have a new literary journal to read, something that blends public service and Print-on-Demand (POD) technology: 2nd & Church. "POD for 2nd & Church is a smart way to keep the prohibitive costs of publishing down and allow readers access that wouldn't ordinarily be found,” said Nashville novelist J.T. Ellison. “What better way to get a fabulous literary magazine in the hands of readers across the state, the country and the world? “If you can just place an order and have a magazine show up in your mailbox, or on your e-reader, the possibilities are endless." Ellison was the cover story for 2nd & Church’s first issue. Her prose is published in nearly two dozen countries, and she is the author of eight novels, including her latest book, A Deeper Darkness. Nashville author Jaden Terrell agrees. 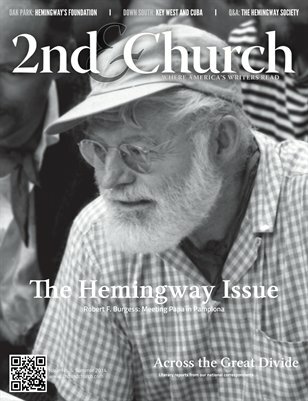 2nd & Church is the latest in a long line of publications across the country using POD technology to do what has traditionally been possible for only the large media outfits. One of these startups is Far Away Literary Magazine, of Knoxville, Tennessee. "We’ve published three issues using POD so far,” said Co-Editor Christine Dano Johnson. “This has allowed two artists with a collective vision to effectively work together, despite our lack of start-up funds, lack of close-proximity (I live in East Tennessee, she lives in Australia) and lack of physical printing equipment. Without such services, Far Away Literary Magazine would still be a vaporous pipe dream, instead of the quietly successful, small press digital magazine that it is today." “It’s exciting to see the birth of this new literary magazine,” Terrell said. 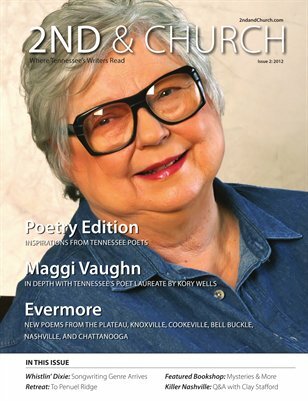 “The online version looked so beautiful I had to order one in print, as well; with interviews, poetry, flash fiction, book excerpts, and articles on Tennessee’s literary landscape, the magazine is chock-full of thought-provoking content. According to Burkhead, he said that one of the things he’s most proud of about the new publication is bringing new writers and poets and/or new work to the public. 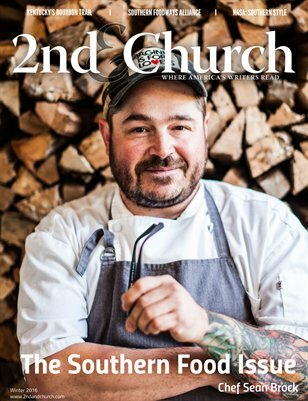 "2nd & Church is a beautiful journal, and it's fantastic,” Vaughn said. “It's delightful, informative, entertaining, and timely; I'm so excited to be a part of it, to be in the second issue. Roy has done an extraordinary job putting it out." "Marking, as typical, a particular style or type of voice in the expansive world of modern poetry is impossible, even when one considers a specific region, state or writing community,” said Poetry Editor Alvin Knox. “As you'll see in this issue, contemporary poems are as diverse as the individuals creating them." 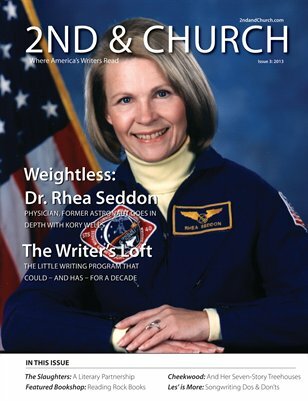 A quarterly publication, the journal’s third issue is due out later in the year, and its cover story is on Margaret Rhea Seddon, a physician and retired NASA astronaut. Seddon is a Murfreesboro native and is completing a memoir. 2nd & Church will include an extensive interview with her and will publish an excerpt from her memoir. But, Burkhead said, there is something else happening with the journal. According to Burkhead, he created The Writer’s Loft while at MTSU’s Division of Continuing Education and Public Service (now known as University College), and being a part of that organization showed him firsthand the benefits that can and do come from public service. “None of us are getting paid, and there’s no promises that we ever will be; the services we provide via our Web site are done at no charge,” Burkhead said. “2nd & Church might become a business one day, but its roots draw from the spirit of public service. 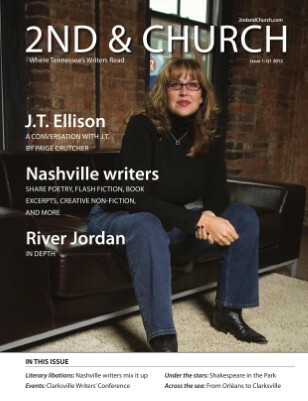 According to the journal’s Web site (2ndandchurch.com), copies of each issue can be found in select bookstores, cafes, arts centers, and libraries in Nashville, Woodbury, Knoxville, Cookeville, Dickson, and Chattanooga. A complete list of locations may be found at their Web site. So, what’s next for this upstart? 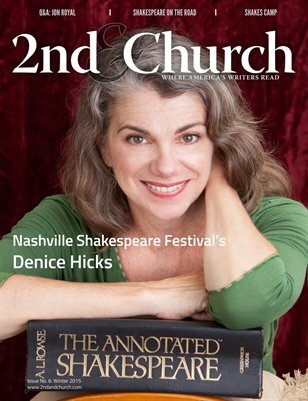 "2nd & Church is a rallying point and connection center for the literary community of Middle Tennessee,” said Charlotte Rains Dixon, the journal’s Portland, Oregon-based columnist. “I'm excited it will soon fulfill this same role on a larger scale." Dixon’s first novel, Emma Jean's Bad Behavior, will be published by Vagabondage Press in February of 2013, and she will also transition from columnist to correspondent for 2nd & Church. 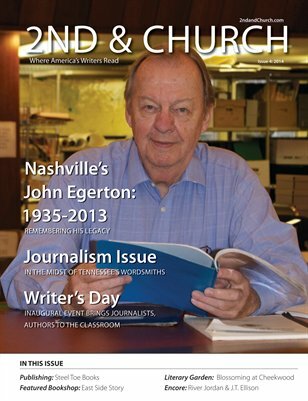 Burkhead said that starting in 2013, national correspondents will be bringing Tennessee readers literary news from Mobile, Ala.; Portland, Ore.; Louisville, Ky.; Los Angeles, Calif.; La Crosse, Wis.; and Bowling Green, Ky.
“I am so proud to be associated with 2nd & Church; it's a smart, great looking journal about Tennessee filled with wonderful writing and art from some of Tennessee's best,” said Middle Tennessee writer Terry Price. “The initial issue has made quite a splash. Price is both a contributing writer and staff photographer for 2nd & Church. In addition, he is a writing coach and mentor, working with writers one on one and in groups through retreat settings around the country and Europe. Writer of the journal’s technical writing column, Gayle Edlin said that she deals with some of these questions in her column, appearing in the upcoming poetry issue. 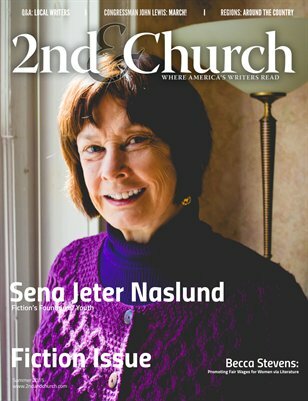 Copies of 2nd & Church may be purchased online via the journal’s Web site, and readers may download a free digital copy from the site, as well. And those with iPads may download the free MagCloud app and download an iPad version of the journal for free, too.